and production in just over three months. to perform amazing inner grinds. of 2004 to amazing reviews. 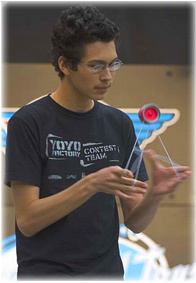 yo-yos used in competitions world wide. as well as the Offstring division in 2004.
second in the World Yo-Yo Contest. See it in action under the video section!